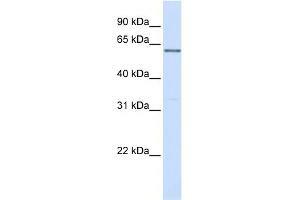 Characteristics This is a rabbit polyclonal antibody against PPP2R3B. It was validated on Western Blot using a cell lysate as a positive control. Background Protein phosphatase 2 (formerly named type 2A) is one of the four major Ser/Thr phosphatases and is implicated in the negative control of cell growth and division. Protein phosphatase 2 holoenzymes are heterotrimeric proteins composed of a structural subunit A, a catalytic subunit C, and a regulatory subunit B. The regulatory subunit is encoded by a diverse set of genes that have been grouped into the B/PR55, B'/PR61, and B''/PR72 families. These different regulatory subunits confer distinct enzymatic specificities and intracellular localizations to the holozenzyme. PPP2R3B belongs to the B'' family. The B'' family has been further divided into subfamilies. PPP2R3B belongs to the beta subfamily of regulatory subunit B''.Protein phosphatase 2 (formerly named type 2A) is one of the four major Ser/Thr phosphatases and is implicated in the negative control of cell growth and division. Protein phosphatase 2 holoenzymes are heterotrimeric proteins composed of a structural subunit A, a catalytic subunit C, and a regulatory subunit B. The regulatory subunit is encoded by a diverse set of genes that have been grouped into the B/PR55, B'/PR61, and B''/PR72 families. These different regulatory subunits confer distinct enzymatic specificities and intracellular localizations to the holozenzyme. The product of this gene belongs to the B'' family. The B'' family has been further divided into subfamilies. The product of this gene belongs to the beta subfamily of regulatory subunit B''. Alternative splicing results in multiple transcript variants encoding different isoforms. 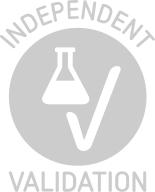 Product cited in: van Kempen, Redpath, Elchebly, Klein, Papadakis, Wilmott, Scolyer, Edqvist, Pontén, Schadendorf, van Rijk, Michiels, Dumay, Helbling-Leclerc, Dessen, Wouters, Stass, Greenwood, Ghanem, van den Oord et al. : "The protein phosphatase 2A regulatory subunit PR70 is a gonosomal melanoma tumor suppressor gene. ..." in: Science translational medicine, Vol. 8, Issue 369, pp. 369ra177, 2016 (PubMed). Background publications Stevens, Janssens, Martens, Dilworth, Goris, Van Hoof: "Identification and characterization of B\-subunits of protein phosphatase 2 A in Xenopus laevis oocytes and adult tissues."" in: European journal of biochemistry / FEBS, Vol. 270, Issue 2, pp. 376-87, 2003 (PubMed).